Side Entry BuildingsSide-entry buildings have garage doors placed symmetrically on the side, and are incredibly versatile. 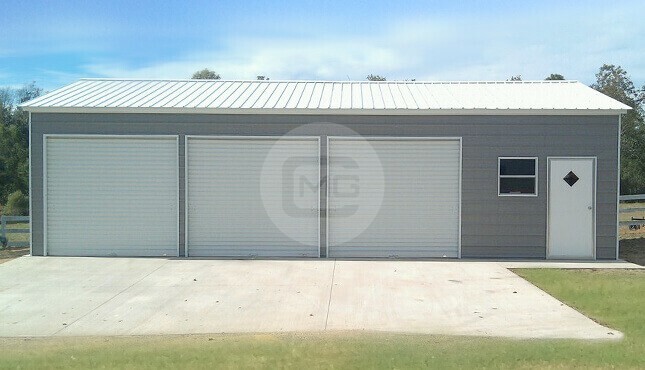 Metal Garage Central can install one, two, or three side doors on your metal building, with your choice of roll-up and walk-in door options. Each of our side-loaded metal garages is custom built to suit your needs, and thanks to continued demand for steel, they hold their value well over time. 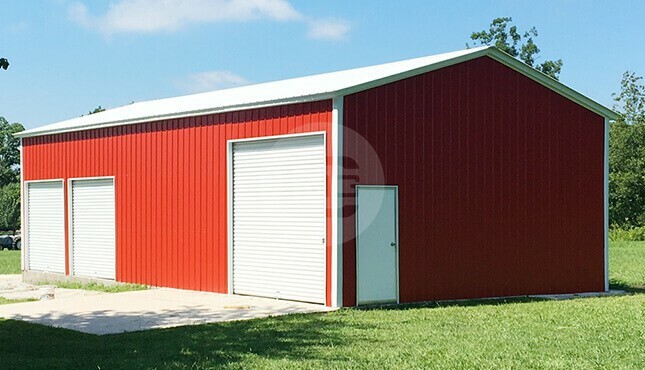 In addition to being cost-effective, practical, durable, and good-looking, our metal buildings actually add to your overall property value, as well! Side-entry buildings are designed for those who need to store more vehicles or equipment, but don’t have room for a larger carport or garage. 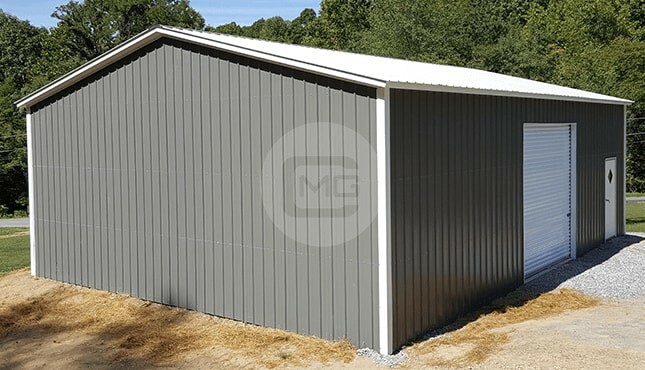 Like all of the steel structures available from Metal Garage Central, our side-entry buildings come in different roof styles, with different customization options for openings, walls, garage doors, windows, walk-in doors or whatever you desire. Check out some of the common side-entry building styles listed below, and start to explore the possibilities! 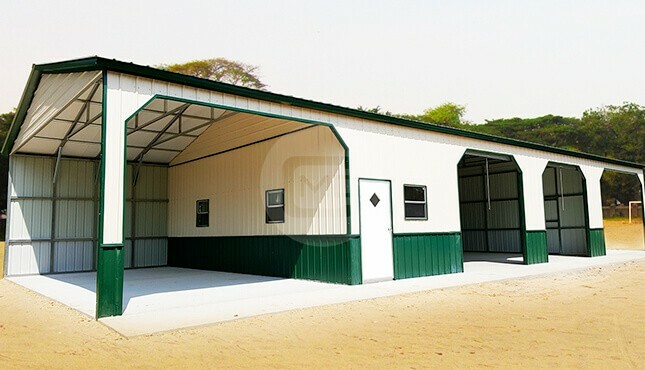 Side-entry metal buildings are so-called because entry accesses are placed on the long side of the building, utilizing the longer span and giving you more space to work with for parking your vehicles and getting to your “stuff.” Side-entry buildings are also some of the most cost-effective metal building options available, thanks to their efficiency of space usage. 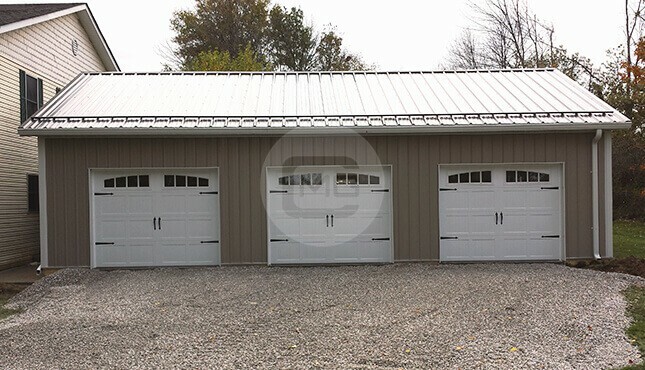 Some of the most popular design options at Metal Garage Central include our side-entry carports, side-entry garages, and side-entry storage sheds. Side-entry metal carports are perfect for covering vehicles of various sizes, and are commonly built to fit 1, 2, or 3 cars. 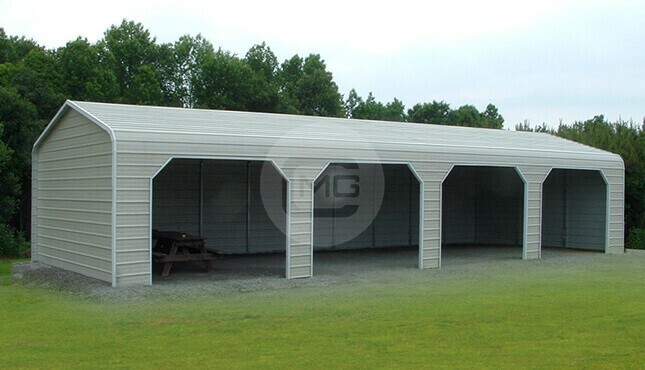 If you need a larger carport to accommodate more vehicles and/or equipment, we can do that too! Our carports come in 3 different roof styles, and can be left open, partially-enclosed, or fully-enclosed, depending on your preferences. 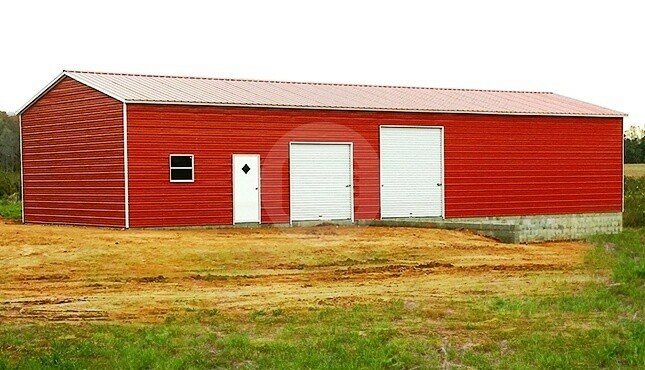 All of our steel structures come with a full range of color options to match almost any existing structure. 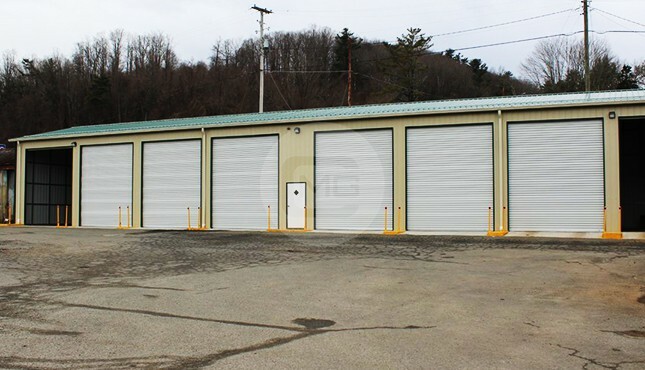 Our side-entry steel garages and buildings are fully-enclosed, providing you with added protection and security for the items you wish to store. Roll-up garage doors are a commonly chosen feature, but we can leave the frame-outs open if you like, and we can also add walk-in doors if you want to include that option. All of our side-entry garages and buildings are fully customizable, and can be designed with a combination of open and closed space, or can be extended for use as commercial garages or workshops. 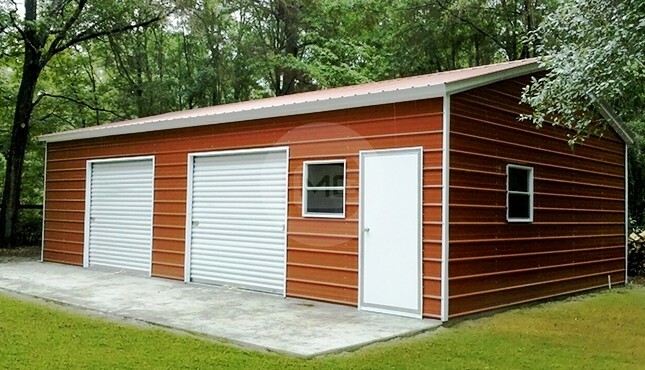 At Metal Garage Central, we’ve seen our customers use our side-entry storage sheds to accommodate everything from yard tools to mowers to jet skis and recreational equipment. 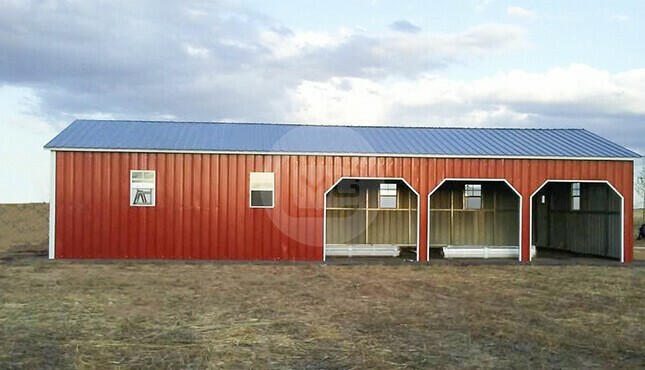 Our side-entry buildings make excellent loafing sheds for your ranch or farm. Oh, and they’re perfect for creating a little space for you to work on small projects or chill with friends. Let us help you design your own custom Man Cave or She Shed! Just tell us what you need, and we can work with you to design a side-entry metal building that will make it happen! Our friendly, knowledgeable building specialists are here to help! We’re happy to walk you through the whole process, from design to ordering to production to installation. Check us out online at Metal Garage Central, or give us a call at (980) 321-9898 and let’s get started on designing the side-entry building of your dreams today!